Why it's worth your time and effort to become more fit. Just as it’s hard to put a value on your time, it’s also hard to overstate the benefits of physical fitness. Your well being affects your decisions, activities, opportunities, relationships...nearly every part of your life. Personal health and fitness directly relates to your quality of life. Here are 4 great reasons to make daily exercise a priority. #1 Consistency pays off quickly. Do you feel like there’s too much work ahead of you to become physically fit? 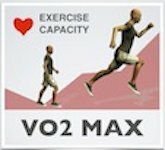 If you are new to exercise or 'out of shape', you actually have an advantage. Though it may be tough at first, be consistent with exercise, and your body will adapt to these new physical activities. You will make progress every week, and your quality of life will change fairly quickly, usually within a month’s time. Increased muscular strength will make it easier to lift children or groceries. A lower body fat percentage will show in the mirror. Weight loss and improved endurance will help you climb stairs with much less effort. #2 Health benefits last for a lifetime. Do you like the idea of looking better and being more physically capable? 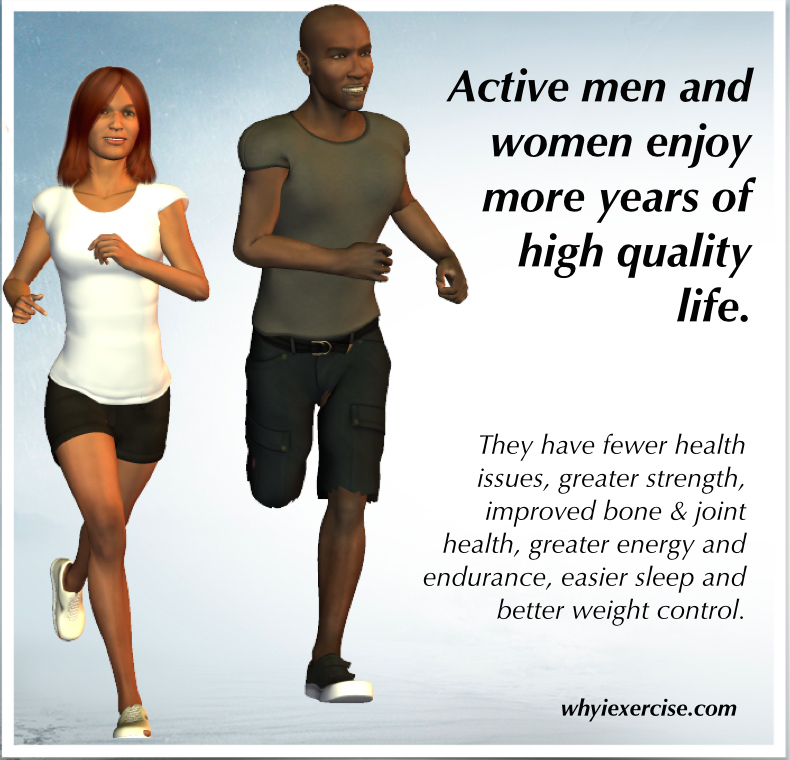 Stay active for a lifetime and you’ll enhance your health as well. Your own benefits of physical fitness will include a significantly reduced risk of death from all causes, cardiovascular disease, cancer, diabetes, and osteoporosis (5). Add good nutrition to an active lifestyle and you'll have a powerful combination for promoting good health and fitness. #3 It's simply too risky to be out of shape. 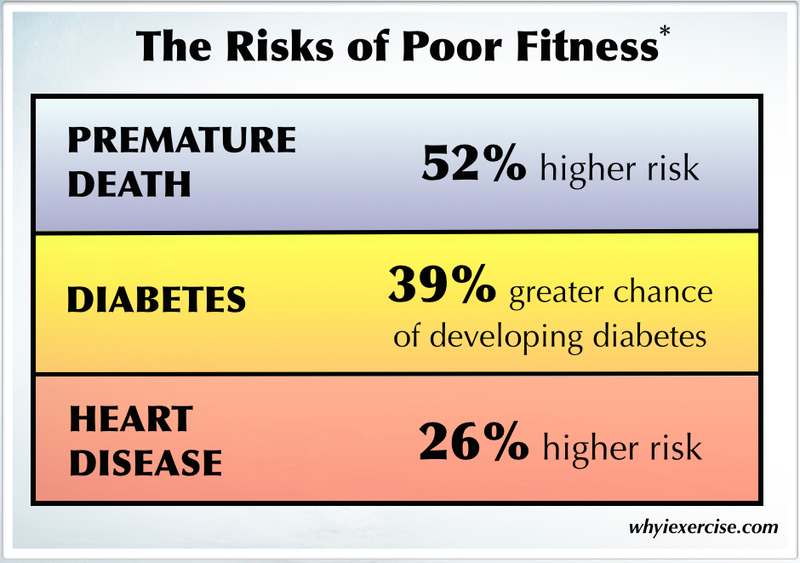 The health risks in this chart were found in the lowest 1/3 in each age group for cardiovascular fitness. 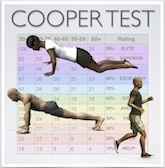 This is equivalent to a score of about 30% or lower on the Cooper Test. See references (4, 17, 18) Note: 2 of the studies above were done with women only, so the percent risk may vary for men. Lack of physical activity tends to make people feel sluggish, and when you combine that with mental fatigue from a long day at work or school, it's natural to want to rest in front of the TV at the end of the day. But studies show that diabetes and obesity are linked with TV time. While watching TV or video content (i. e. video on internet), we burn no more energy than we do at complete rest, and we’re also bombarded with fast food commercials compelling us to eat! 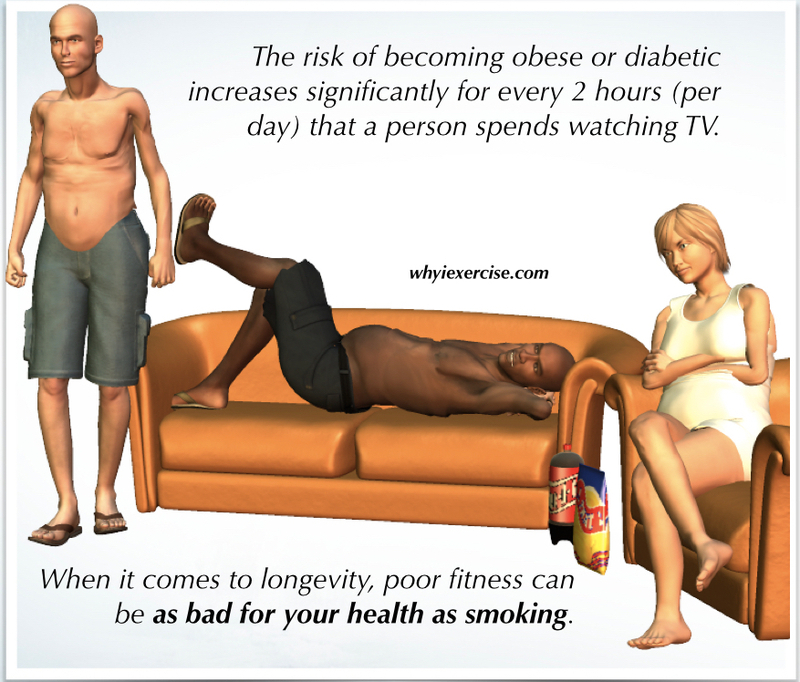 So even in those who are otherwise physically active, excessive TV time may pose a health risk. Researchers recommend less than 10 hours of TV per week. They estimate that 30% of new obesity cases and 43% of new diabetes cases can be prevented through watching less than 10 hours of TV / week and walking briskly 30 minutes per day. The average American watches over 35 hours of video content per week according to Neilsen. Perhaps what we really need is just a change of pace...walk the dog, play with your kids, work in the yard, go to a park....when they are part of a consistent routine, those kinds of activities are easy ways to realize the benefits of physical fitness. See references (1-3, 19). Return from benefits of physical fitness to physical fitness tests.